Press Release:– The Department of Finance wishes to inform the public of government’s policy regarding the pricing regime for gasoline and diesel in Saint Lucia. Four tax components influence the price of petroleum products (gasoline and diesel) in Saint Lucia. These are the invoiced CIF prices of imported petroleum, wholesaler and retailer guaranteed margins and the rate of excise tax. Two of those components namely the wholesaler and retailer margins are fixed, while the rate of excise tax and invoiced CIF prices vary. * Invoiced CIF prices increasing or decreasing while the rate of excise taxes are allowed to fluctuate. Imported CIF prices are not influenced by government and reflect the impact of global petroleum market developments and purchasing arrangements between the petroleum wholesalers (Rubis West Indies Limited and Sol EC Ltd) and their suppliers. Government therefore has direct influence over one (1) component of the price build up, i.e. the rate of excise tax, which influences the final price to consumers. Government from time to time varies the rate of excise taxes in an attempt to achieve two policy objectives namely: (1) price stability and (2) cushioning of upward movements in imported CIF prices of fuel, which otherwise would have resulted in higher fuel prices. Pursuant to section 20 of the Excise Tax Act Cap 15.07, the Minister responsible for Finance may by order amend the rates in the schedule to this act including fuel products. These excise tax rates, as determined by the Minister of Finance, are published via Statutory Instrument in the Gazette on every instance where there are rate changes. During fiscal year 2018/19, the government sought to achieve both policy objectives i.e. price stability and cushioning of price increases above a certain threshold by varying the rate of excise to ensure that the price stayed at or below the price cap $13.95. Cushioning upward price movements requires that the rate of excise tax be lower than the budgeted target of $4.00 per gallon. Given upward imported CIF prices, government took a decision to lower the excise tax rate below $4.00 per gallon throughout the first eight (8) months (April to November) of 2018/19 in order to maintain prices at the price cap. This decision resulted in the price not exceeding the prevailing caps of $12.75 in April 2018 and $13.95 thereafter. Towards the end of 2018 into early 2019, a downward momentum was observed in imported CIF prices of fuel products. This sustained decline allowed for partial recouping of revenue shortfalls associated with having excise tax rates below the budgeted $4.00. Subsequently, during the period December 10th, 2018 to March 24, 2019, the rate of excise was above $4.00 per imperial gallon. Notwithstanding these recent higher rates, the estimated budgetary shortfall for 2018/19 is $5.3 million. Projections for 2019 suggest comparatively lower world crude oil prices compared to 2018. 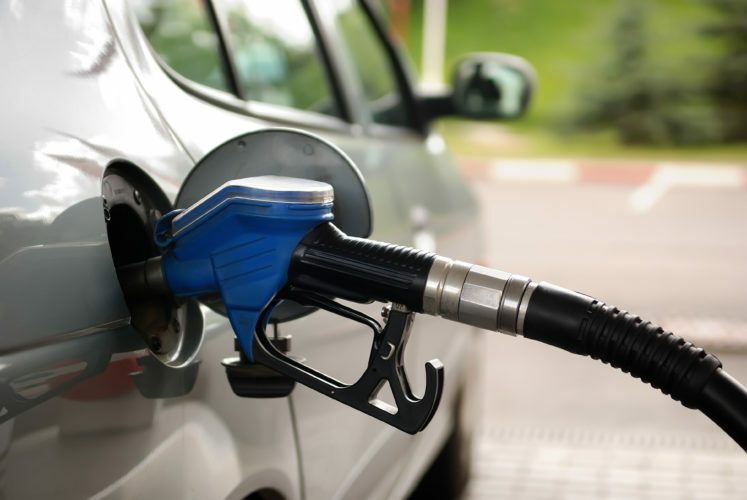 Cognizant of these developments and as we approach a new fiscal year 2019/20, the excise rate has been adjusted to the targeted $4.00 per gallon on both fuel products, as of 25 March 2019. The government will continue to closely monitor developments in world oil prices and inform of any policy changes. Please contact Ms Jemma Lafeuille or Mr. Janai Leonce of Research Policy Unit of the Department of Finance at telephone numbers 468-2555 or 468-2254 for any clarification. Let us go back to 2008. Crude oil price per barrel was about $145.00us/barrel and gas was below $14.00/gal at the tank. In 2015/2016 prior to the election, the price of crude oil went below $30.00us /barrel and it was over $16.00/gal at the tank.The protest had the SLP govt to reduce it. So what are you talking about “what goes around comes around”. The information is readily available online. Was SLP in power in 2008? Who are we buying from? so we can know were the presure comes from. What the PM did was raise the excise tax by $1.50 therefore making fuel more expensive. All this was to coushon the shortfall in the revenue collected from VAT after he reduced the VAT rate to 12.5%. HE really fooled alot of St.Lucians. But I wasn’t fooled. He said the extra of the gas tax was to fix roads, I drive everyday and have to be getting away holes like crazy, so I wonder when will he fix the roads. Come on man don’t lie. A lot of work has been done on the roads. Rails have gone up, marking (although rubbish), potholes fixed. Give credit where credit is due. Instead of waiting just before elections to try to fool people, there is a lot of roadwork going on. But yet I agree, if a tax fluctuates every 3 weeks to allow government to collect the amount of money they want, then it is a con. Which roads? Certainly not in my constituency! The Ti Morne road has been in a deplorable condition for years but today, it is worse than ever! I was informed that there is an allocation but have no idea when that will happen. We were told, via press release, that Lucians would not be riding on waves (referring to the Millennium Highway) . . . where are we today? The so-called “works” that have been done are patch up work which crumble and disintegrate in mere weeks. The real CON is what you and UWP are attempting to peddle. I know I wasn’t fooled and I hope that many become open so that we all may act.